Whether tame or wild, domesticated or dangerous, animals have fascinated man since prehistoric times. Their status has evolved as perceptions have changed: having become better known through zoology, animals are now considered as sentient beings but remain subject to the good will of humans for their survival. Like other decorative arts, wallpaper frequently depicts them, whether naturally or stylised, by playing on the emotions of the onlooker: the horse and dog inspire trust, birds and insects are placed amongst verdant and calming foliage, whilst wild animals fire the imagination with their evocation of far-off lands. 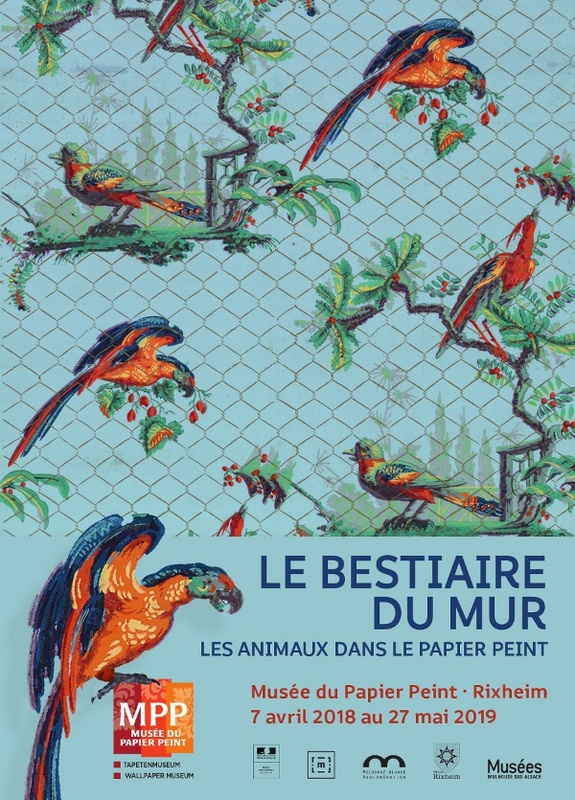 Wallpaper intended for children’s rooms, plays on the particular affection that toddlers have for animals which develops according to age: cats and bears soon give way to dinosaurs and ponies. Cartoons and video games provide many of the characters. Used to embellish arabesque patterns or decorative foliage, animals are often transformed into amusing hybrids, fantasies in a medieval style. Literature – and particularly fables – like to caricature animals and thereby mirror man’s errant behaviour. In some civilisations animals are used as symbols imbued with special qualities and powers which powerful people take as their own; Napoleon, for example, chose the eagle and the bee as his emblems.